This is going to be a fortnightly feature on the final bosses of a classic game. Each of these have a pattern which I never noticed before, which is the majority of games’ final boss being in two parts. Each will go through the boss, and how it’s not your average final stage. There will be heavy spoilers in this feature if you haven’t yet played one of these games, so the main content will be after the break to avoid spoiling without warning. 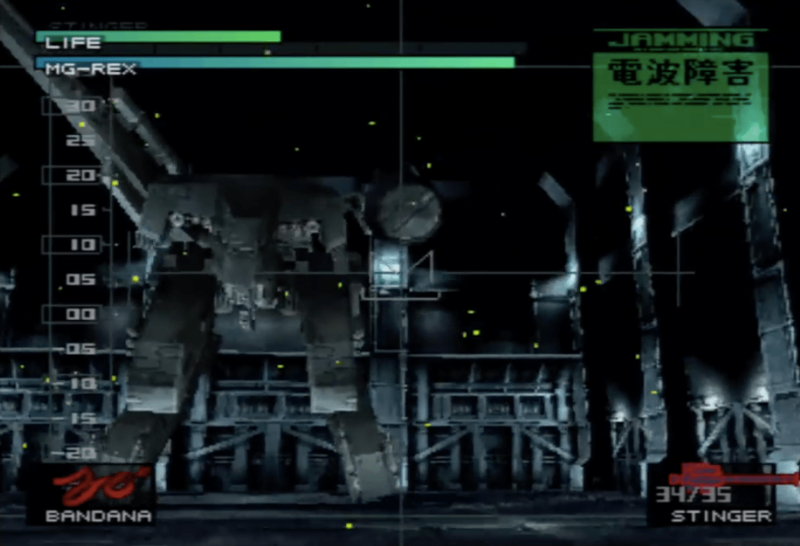 Metal Gear Solid, 1999 – Metal Gear REX. After spending a good half an hour manipulated to heat up and then freeze a keycard, you activate the first part of the final boss, Metal Gear REX. This is the first of three parts of the final boss, separated by lengthy but great cutscenes, followed by a punch up on top of REX against Liquid Snake, then finally with a suspenseful car chase. You feel that this is the end, that everything you’ve collected and prepared for has lead up to this moment. You’re treated to an intro where REX rises from the ground, and the pilot, Liquid, is taunting constantly. It ascends to another level when it seems as if you’re about to lose, and the Ninja from earlier in the game, Gray Fox appears and destroys one of its weapons. Just before he’s killed by Liquid, you’re hearing Gray Fox speak, but instead of a cut scene, you’re in control, with a stinger in view, and it’s up to you to fire. This isn’t a normal boss fight. You’re in a film, a David and Goliath battle almost. It’s a game where you’re left on your own, although if you call Colonel Campbell after a certain amount of times, he’ll give hints. The rockets will keep homing in on you until there’s no more rations to spare, and you’ll just be left with your trusted SOCOM gun and cardboard box eventually. Then, you’ll realise the chaff grenades will be the most important items you’ll need for this. One shot, and it will confuse REX’s aiming, allowing you to use the stinger on it and eventually, winning, but at a price. I must have finished Metal Gear Solid over 20 times since I first played it in February of 1999, and still Metal Gear REX makes me slightly nervous once you watch it rise from the floor. Subsequent games haven’t made me feel like that in the lead up. RAY in the sequel was more of an endurance that made them all seem like tin foil after three hits with a stinger for each, while I barely remember Metal Gear Solid 4, although the final fight between Liquid Ocelot was great for nostalgia if nothing else. If you’ve just started or finished playing Phantom Pain, and you have no idea what’s going on, this game will help you in infinite bounds, and make you wonder if they should have just stopped with this entry instead. Using the iPhone 6S Camera.